Milwaukee Bucks rookie forward Jabari Parker is likely to miss the rest of the 2014-2015 season with a torn ACL in his left knee. The Bucks are expected to announce Wednesday that Parker is out for season. Parker suffered the injury in the third quarter of the Bucks win over Phoenix on Monday. Parker collided with Suns’ P.J. Tucker, with his knee buckling after. He had to be carried off the court by teammates, and his injury was originally diagnosed as a sprain. 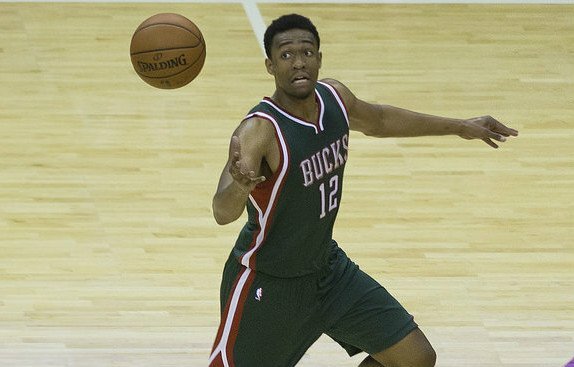 Jabari Parker had emerged as the best rookie in the NBA, after being selected number two overall in June. Milwaukee is sitting at a sixth seed right now, but I don’t see them making the playoffs without Parker.